In the winter term, the Filipino Intercultural Society of Drexel University will be holding a fundraiser to assist the people affected by the earthquake that shook the Philippines earlier this season as well as those devastated by Typhoon Haiyan. Their hope is to host a coffeehouse concert on campus that will feature Drexel’s a cappella groups and Greek Life organizations. Along with hosting the concert, FISDU is also seeking donations from the Drexel community to send to the Philippines. Clothing, medicine, bandages and any other items that will help improve the quality of life in the Philippines are in high demand. “Honestly, Filipinos see the Philippines as their family. Any time we go to the Philippines, everyone is your friend. Everyone is fun. Everyone is a part of you. You have close relationships. And so if it hits any part of the Philippines, everyone is affected. Everyone is sad even if your family hasn’t been affected directly. You still feel for them,” Damie Juat , internal vice president of FISDU and a sophomore biological sciences major, said. A 7.2 magnitude earthquake hit the Philippines Oct. 15, leaving more than one hundred dead and many others injured or displaced. 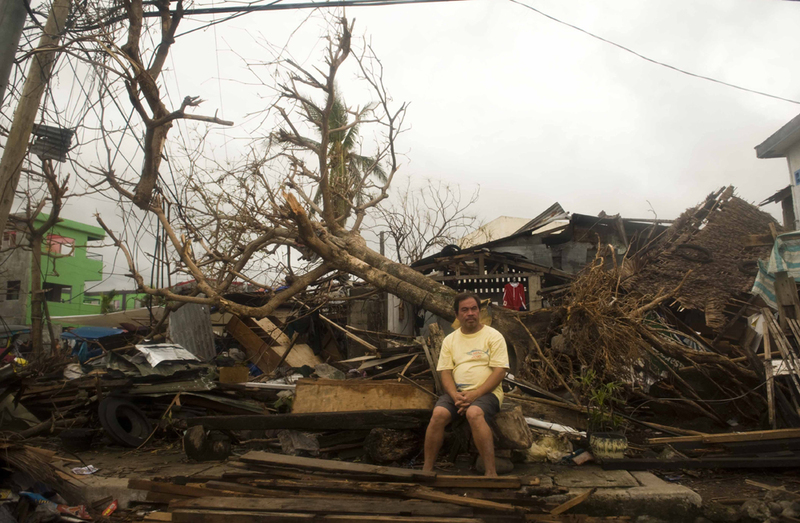 Typhoon Haiyan, a Category 5 storm, made landfall in the Philippines early Nov. 8. The wind gusts during the storm were some of the highest ever recorded, reaching 195 miles per hour. The death toll for the entire area known as the Philippines, which includes 7,107 islands in the Pacific Ocean, has reached over 4,000 people. Over 13 million people have been affected by the storm in some way. “I feel like people are forgetting about the earthquake. It destroyed about 70,000 homes and monuments in the Philippines. I just want people to know that it isn’t just this one thing that happened,” Juat said. FISDU usually focuses on spreading the Filipino culture on and around campus. The society has approximately 70 active members this year. FISDU meets in room 120 of the Constantine Papadakis Integrated Sciences Building. The society is open to all members of the Drexel community regardless of age or race. “We actually just want to spread the Filipino culture because a lot of people know the Chinese culture and the Japanese culture, but no one really knows what the Filipinos are all about. We are also trying to spread awareness for any destruction that happens in the Philippines,” Juat said. In an attempt to spread awareness across the United States, FISDU is working with Filipino societies from other universities in Illinois, Wisconsin, Texas, New Jersey and California. These groups hope to sell a universal T-shirt, the proceeds of which would benefit the Philippines. “We are actually trying to spread it throughout, and we are hoping that the shirts will get everywhere. It is kind of a big dream but you know, it could happen,” Juat said. FISDU will host its annual culture show, Barrio, April 25-26 of next year. This event will consist of the Filipino national anthem, cultural dances and many other Filipino-themed activities.